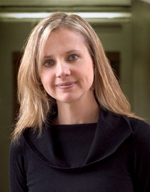 Samantha Nutt, M.D., the founder and executive director of War Child Canada, was the 2009 commencement speaker at NSU's Undergraduate Commencement Exercises. The ceremony was held at 11:00 a.m. on Saturday, May 9, 2009, at the BankAtlantic Center in Sunrise, Florida. Nutt has dedicated her career to working on behalf of women, children, and families living in war zones. As an advocate for peace, human rights, and social justice, she has led efforts to provide direct humanitarian support and aid to civilians affected by war. Nutt spent more than 13 years in some of the world's most violent regions, working with War Child Canada, the United Nations, and non-governmental organizations (NGOs) in Iraq, Afghanistan, the Democratic Republic of Congo, Liberia, Sierra Leone, Somalia, northern Uganda, and other locations. As the founder and executive director of War Child Canada, she has worked extensively within her country to promote issues surrounding children's rights. In the international arena, Nutt has participated in humanitarian efforts in Burundi, Liberia, Iraq, Somalia, and the United Arab Emirates. She conducted extensive reviews for UNICEF on the health of women and children in post-war Liberia, and she has examined the health and food needs of Iraqi civilians living under economic sanctions. As a medical doctor, Nutt is a specialist in maternal and child health in armed-conflict zones, family medicine, public health, and women's health. Nutt is on staff at Women's College Hospital and at Sunnybrook and Women's Health Science Centre in Toronto. She is an assistant professor in the Department of Family and Community Medicine at the University of Toronto. A native of Toronto, Nutt holds undergraduate degrees in arts and science and in medicine from McMaster University, located in Hamilton, Ontario. She earned post-graduate degrees in medicine and in public health from the University of Toronto and the London School of Hygiene and Tropical Medicine, Britain's national school of public health. Nutt has been recognized internationally for her work promoting human rights and her role in delivering humanitarian aid to some of the world's most at-risk populations. She was the recipient of the University of Toronto's Science for Peace Award and the CP Shaw Award for Excellence in Community Medicine Research and Publication. Selected by Maclean's Magazine for its annual honor roll, Nutt was designated as one of 12 Canadians "Making a Difference." She was profiled by Time Magazine as one of Canada's five leading activists and by CBC News Sunday as an outstanding Canadian leader. Nutt also was chosen by the World Economic Forum as one of the world's 200 Young Global Leaders. At NSU, Nutt was awarded an honorary doctorate of humane letters. Each year, the Farquhar College of Arts and Sciences organizes its academic programming around an annual theme. Nutt was the last of the distinguished speakers for the year who addressed the annual theme of "Life and Death."